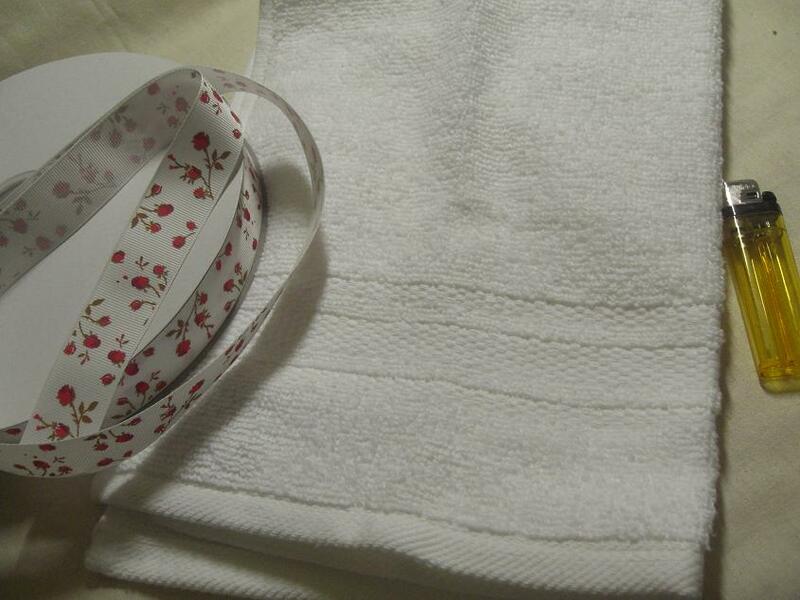 Measure the width of your hand towel from just inside the seam. 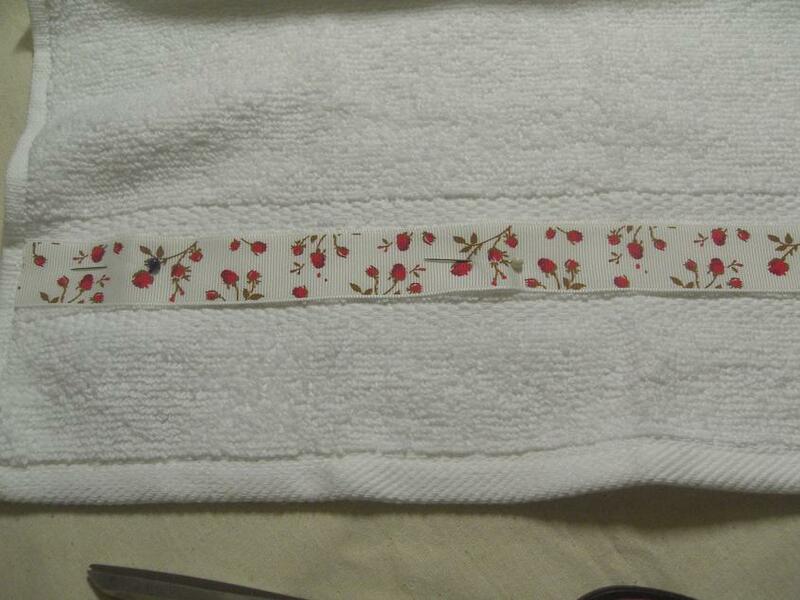 Cut your grosgrain ribbon to length and seal the end with a lighter or candle. 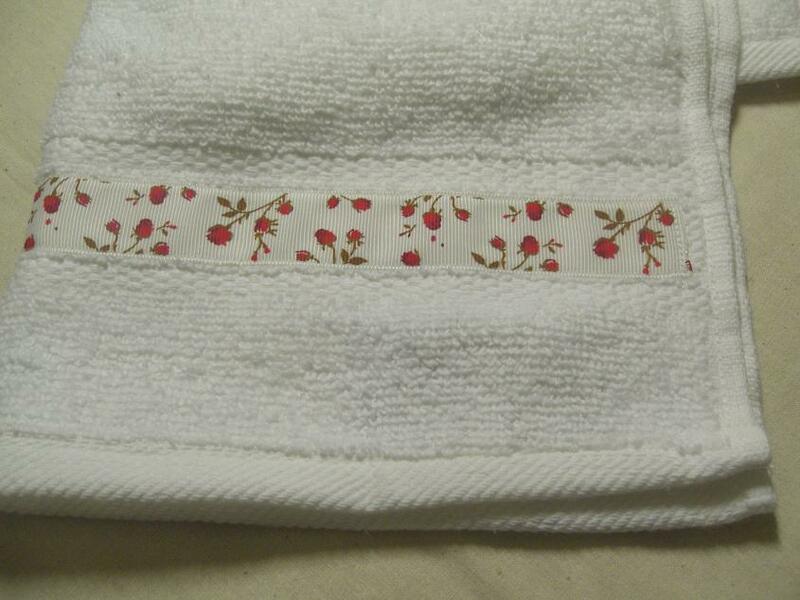 Pin the grosgrain ribbon into place on your hand towel. 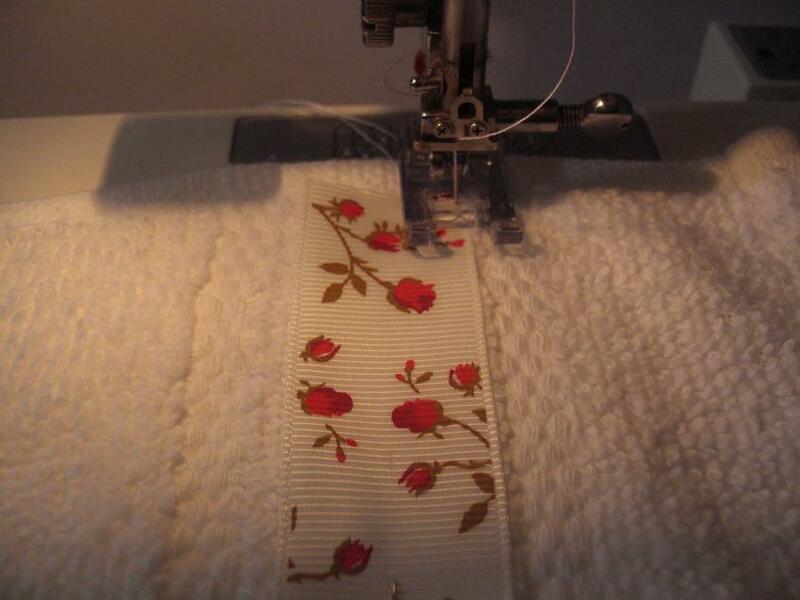 Machine stitch with a straight stitch along the top edge and then down the side back along the bottom edge and up the side to meet where you started. It’s that easy, you know have a unique hand towel. If you like our tutorial you are welcome to share and link back to us. Please use only 1 photo.